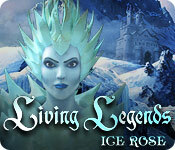 Living Legends: Ice Rose is rated 4.2 out of 5 by 114. 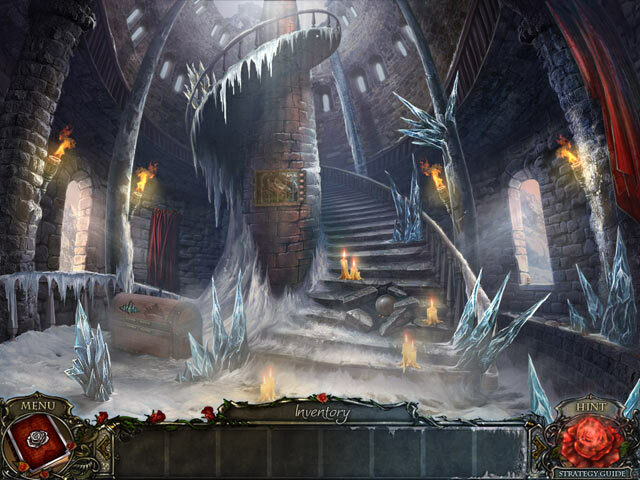 Rated 5 out of 5 by bertann1 from Loved it It was quick but still challenging. You don't get frustrated with it and quit. Rated 5 out of 5 by Nastiegirl21 from it good all the characters are fun they do they parts in hidding the ojbects. Rated 5 out of 5 by centauri272 from A good story with nice graphics! As told in other reviews, the ending is abrupt.... but I can live with it! There are 3 game modes, but sparkles even in the Expert mode. - The graphics are great, clear, even in the HOS. 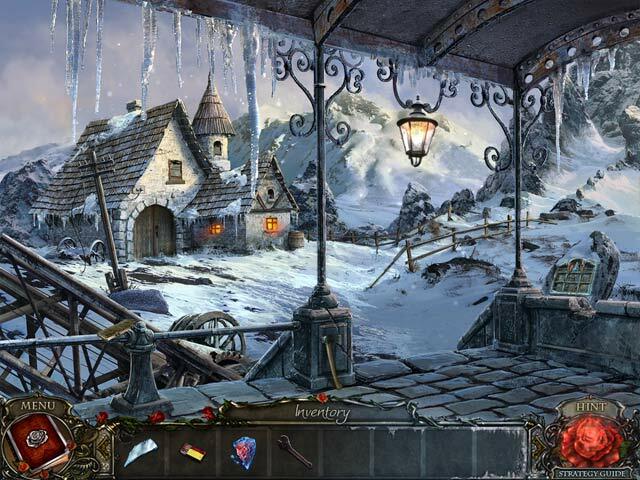 - The mini-games are on the easy side but interesting. - There is a good journal, but no map, even though there is a lot of to and fro. The game length is ok, for me about 3 hours. Rated 5 out of 5 by Mirie_49 from Great Fun!! I played this game with my best friend and we had so much fun together! It has a lot of twists that you don't quite expect and just when you think you have it, it just keeps on going. Rated 5 out of 5 by caz2701 from FANTASTIC GAME I couldn't stop playing this game as soon as I started i was pulled into it. Has to be one of my favorites up to now. The story is the usual sister looking for brother but that is the only boring bit about it. The scenery was crisp and colourful. There were plenty of HOS and mini games. There was a bit of twoing and froing but not too annoying. I got a bit lost mid way through so needed a bit of help as the hint only says 'nothing to do here right now'. As I have said before the game had me captivated and I really couldn't stop playing it. It is a good length of game play the only gripe I have is that it ended pretty abruptly but this didn't take anything away from the actual game. Rated 5 out of 5 by viennapatina from great game Surprisingly enjoyable game with not too many HO and when they appeared they were needed. Enjoyed most of the puzzles, some were harder than others but still most enjoyable. Would have liked a different ending. Rated 5 out of 5 by reachout from Captivated Me! HOGs are my favorites. This one is really keeping my attention high! The graphics are excellen... detailed and colorful. For me, the mini games are challenging and I have skipped quite a few. I am still playing the game, but just had to come write a review in the midst of playing because it is that good. Rated 5 out of 5 by nanaX6 from BRRRRRR Thoroughly enjoyed this game. I have to purchase the collector's edition so I can enjoy the bonus play!!!!! 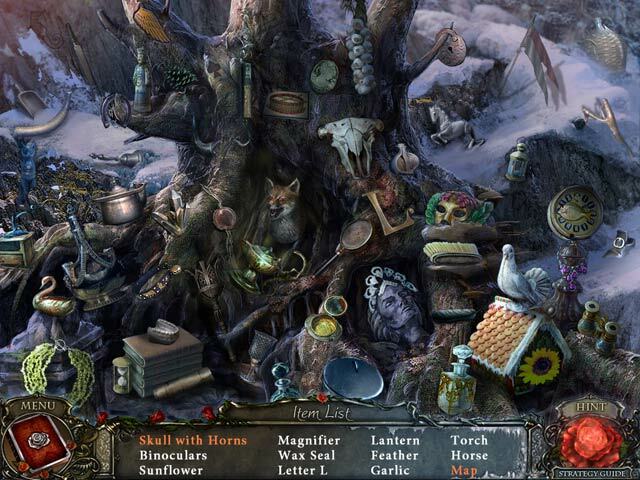 Rated 5 out of 5 by bishky from Intricate Fun Hidden Object Game I found this game not only beautiful to look at but so much fun to play. The storyline was very well played out and the games were well done. I have played it several time and never tire of it. This is a good game for all levels of skill.